Gaston is a gag-a-day comic strip created in 1957 by the Belgian cartoonist André Franquin in the Franco-Belgian comics magazine Spirou. The series focuses on the everyday life of Gaston Lagaffe (French)-Guust Flater (Dutch) (La Gaffe meaning "the blunder"), a lazy and accident-prone office junior. Gaston is very popular in large parts of Europe. André Franquin also created the very well know character of Spirou. 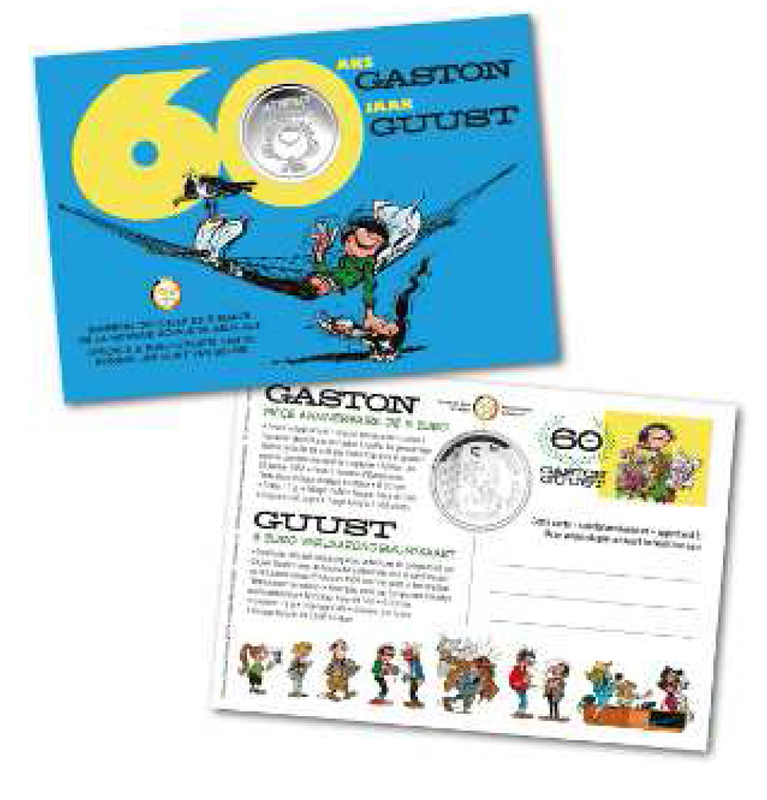 The image on the coin was especially created for the 60th anniversary of the cartoon. Packed in blister that has the size of a post card.